Britain suffered a similar meteorological treatment as New Zealand this summer when a few showers turned into weeks of wet dreary weather. Luckily summer played ball in time for the Olympics and our trip with warm and often sunny weather to bring out the charm and idiosyncrasies of the English on holiday. 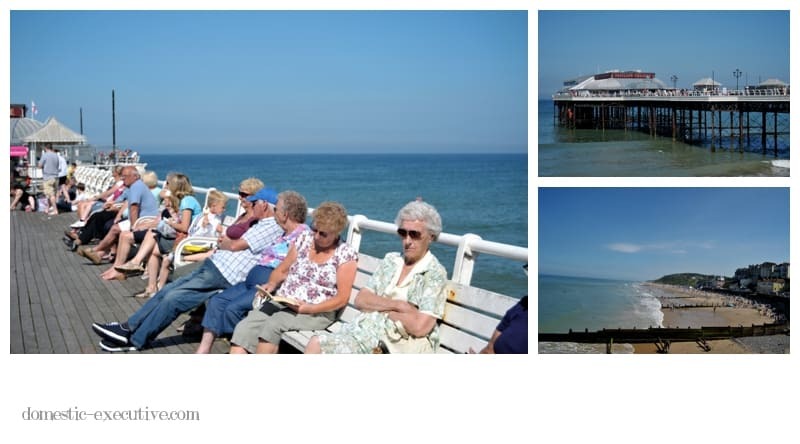 The good weather certainly brought out the holiday makers in Cromer which is an old style English seaside town complete with pier, sandy beach and the usual cacophony of fish and chips, candy floss and shops that sell kiss-me-quick hats. 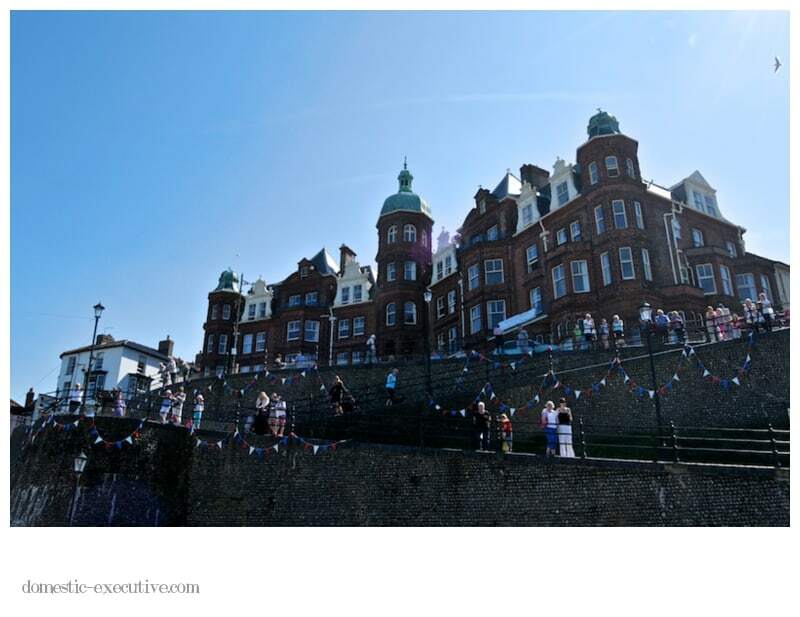 It was one of the many highlights of our holiday to sit on a bench overlooking the beach eating Cromer crab. Incidentally for the record, freshly caught and dressed crab is as tasty without the brown bread and butter I’ve always enjoyed in the past. Postcard shots! Simply perfect and so, so English! Kiwis are straight on the beach and in the water. The Brits prefer to sit and eat!